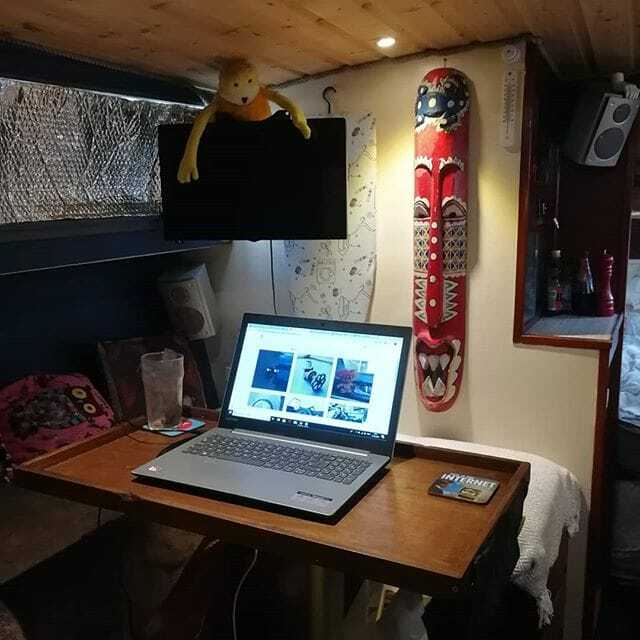 Above is a photograph of the current boat renovation people office. It also happens to be my home. The office comes equipt with a TV to distract myself from work. When I’m not about, Flat Eric guards the office – so don’t try anything. Necking pints of green tea and listing to funk and soul fuels the writing and focuses the creativeness. I’m aware that I’m a boatymcboat hipster but I love it. In fact, I’m ecstatic that I’ve managed to make a space that is not only my home but a functioning loner office.